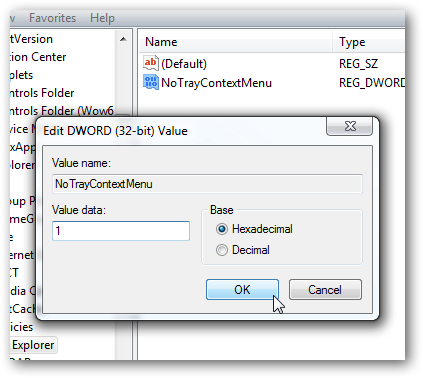 As a security measure, you may want to restrict users not to get the right click context menu in Windows 7. Here is a tutorial, on how to disable right click on the taskbar in Windows 7. As we have said in our previous tutorial; Disable access to Windows Task Manager in Windows 7 ; this trick can be used to for creating a Windows 7 based KIOSK or embedded system, for banks or other institutions, or any where where the administrator simply do not want the user to know what operating system is running or simply to stop users to customize the particular computer. Now when you right click on the taskbar, Simply nothing happens. 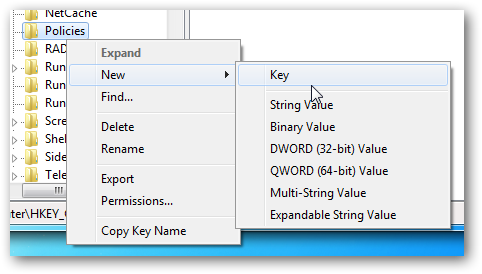 To re enable right click on the taskbar again, simply delete the subkey you have created or, set the value to œ0 (Zero). This Article Has Been Shared 2622 Times! Cite this article as: Abhishek Ghosh, "Disable right click on the taskbar in Windows 7," in The Customize Windows, January 16, 2011, April 18, 2019, https://thecustomizewindows.com/2011/01/disable-right-click-on-the-taskbar-in-windows-7/.